The laboratory space is designed in flexible modules, which can be modified with changing research projects. Spaces for frequent interaction between researchers are another design attribute. 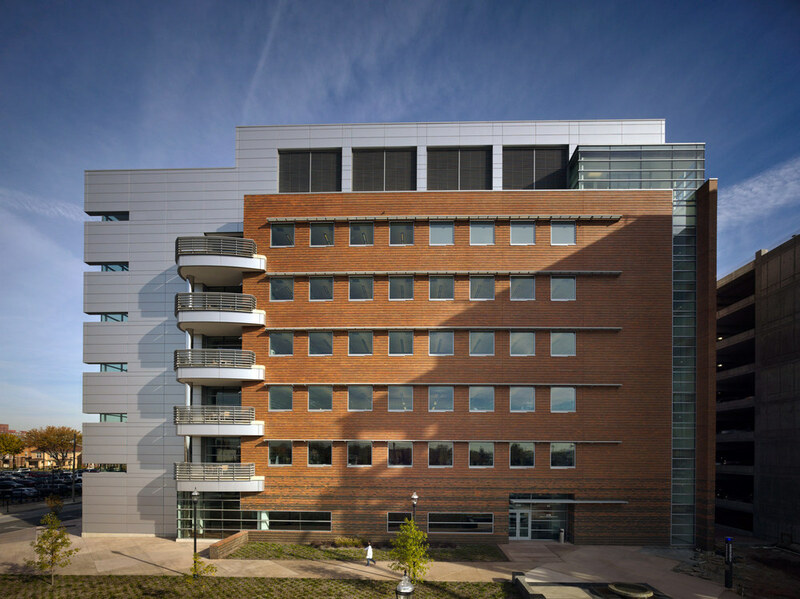 This is the fourth research building in the U of L Health Science Campus, that were designed and master planned by AJRC/SmithGroup. The project achieved United States Green Building Council’s LEED Gold Certification making it the first LEED certified research building in Kentucky and the largest LEED NC Gold certified research building in the country at the time of certification. Arrasmith, Judd, Rapp, Chovan, Inc., in conjunction with the SmithGroup, developed the research campus plan and functional space program as well as providing complete architectural and engineering services, including sustainable and interior design. National Council of Structural Engineers Assoc.